WASHINGTON (AP) — The Trump administration, which abruptly announced in December that it was pulling out of Syria, said Thursday that it will keep 200 U.S. troops in the country for now. ABC's "This Week" — Sen. Tammy Duckworth, D-Ill.; Rep. Jim Jordan, R-Ohio; California Attorney General Xavier Becerra; former Gov. William Weld, R-Mass. Graham also told Munich Security Conference delegates the international reaction to China's arrest of ex-diplomat Michael Kovrig and entrepreneur Michael Spavor hasn't been enough to persuade China that its apparent use of hostage diplomacy won't be tolerated. COLUMBIA, S.C. (AP) — With confidence in his national connections and fundraising ability, a top official with the Democratic National Committee said Thursday that he is launching an exploratory committee with the goal of replacing Republican Sen. Lindsey Graham of South Carolina in 2020. WASHINGTON (AP) — The Senate Judiciary Committee is set to take up next week the nomination of William Barr, President Donald Trump's pick for attorney general. The committee's Republican chairman, Sen. Lindsey Graham of South Carolina, said the panel will vote on Barr next Tuesday, though it's likely Democrats will seek to postpone it. 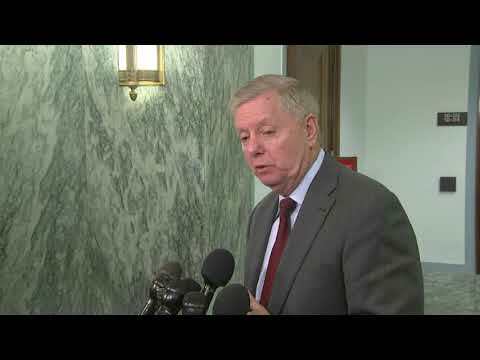 ISLAMABAD (AP) — U.S. Republican Senator Lindsey Graham said on Sunday that he will urge President Donald Trump to meet with the leaders of Pakistan and Afghanistan so that they can devise a plan to end Afghanistan's 17-year war, the U.S.'s longest military engagement. 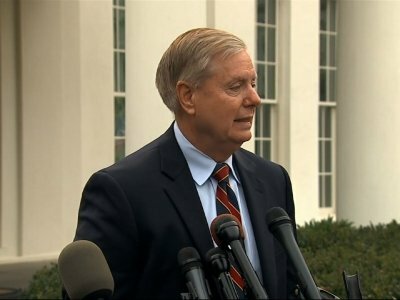 ANKARA, Turkey (AP) — A U.S. withdrawal from Syria that has not been thought through would lead to "chaos" and "an Iraq on steroids," Sen. Lindsey Graham warned Saturday, urging President Donald Trump not to get out without a plan. The chairman of the Senate Judiciary Committee believes the president's pick for attorney general will "do well" in a confirmation vote before the Senate. WASHINGTON (AP) — President Donald Trump's pick for attorney general sent White House lawyers a memo arguing that the president could not have obstructed justice by firing ex-FBI Director James Comey, describing a critical prong of the special counsel's Russia investigation as "fatally misconceived," he told the chairman of the Senate Judiciary Committee in a letter Monday. WASHINGTON (AP) — Deputy Attorney General Rod Rosenstein, the most visible Justice Department protector of special counsel Robert Mueller's Russia investigation and a frequent target of President Donald Trump's wrath, is expected to leave his position soon after Trump's nominee for attorney general is confirmed. WASHINGTON (AP) — As the first two years of President Donald Trump's administration close, Republican allies still haven't figured out how best to influence a leader who takes cues from the forces that swept him to office and seems to fear losing them above all else. WASHINGTON (AP) — President Donald Trump's relationship with the Republican Party, always a marriage of convenience, is showing signs of serious strain. The president threatened his bond with virtually every GOP constituency this past week. The incoming Republican chairman of the Senate Judiciary Committee says he is "not personally" concerned with a memo written by attorney general nominee William Barr that criticized the special counsel's investigation into President Donald Trump. CHARLESTON, S.C. (AP) — The State Ports Authority is getting a $25 million federal grant to help expand the inland port in Greer. The Post and Courier reports Friday that the grant is administered by the U.S. Department of Transportation. Former Vice President Joe Biden is praising senators for delaying further action on Brett Kavanaugh's Supreme Court nomination until the FBI can investigate charges of sexual misconduct. 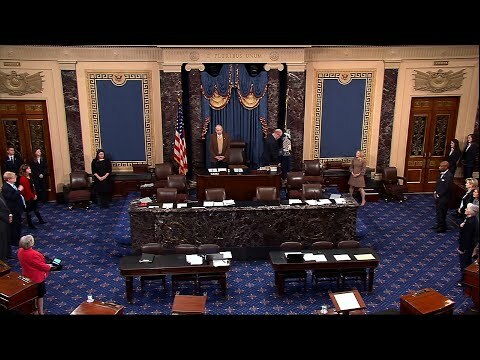 WASHINGTON (AP) — John McCain's close friend Lindsey Graham mixed laughter and tears on the Senate floor Tuesday as he remembered "Operation Maverick," which he described as lessons in choosing "what's right at your own expense." WASHINGTON (AP) — In bluntly vulgar language, President Donald Trump questioned Thursday why the U.S. would accept more immigrants from Haiti and "shithole countries" in Africa rather than places like Norway, as he rejected a bipartisan immigration deal, according to people briefed on the extraordinary Oval Office conversation.